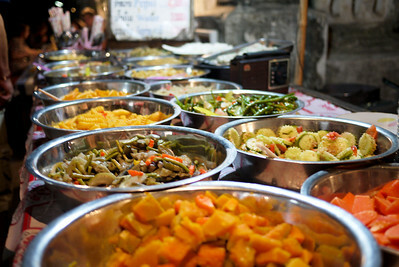 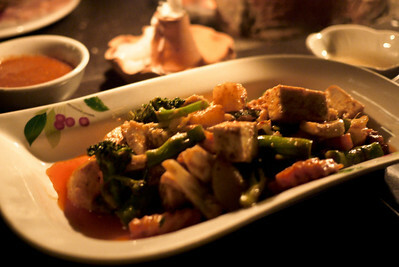 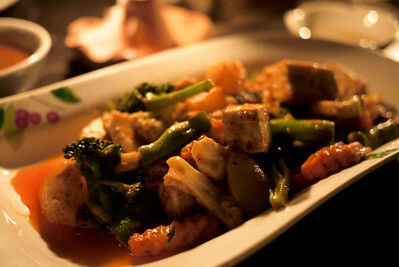 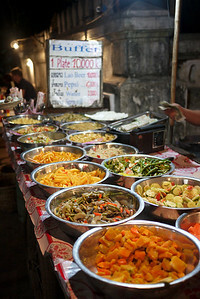 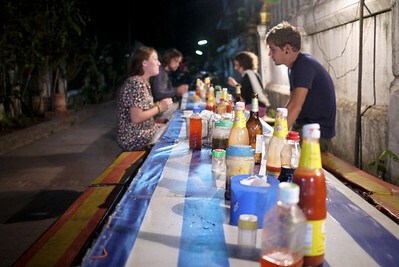 A 10,000 Kip veggie buffet dinner in Luang Prabang, Laos means cheap but tasty eats for about a buck! 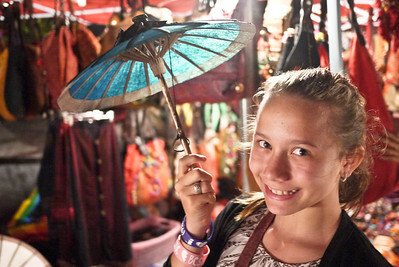 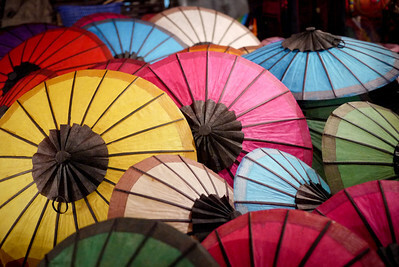 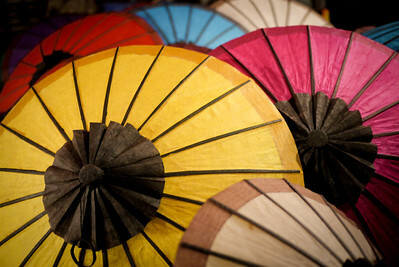 Pretty close up of paper umbrellas in Luang Prabang's nightly street market, Laos. 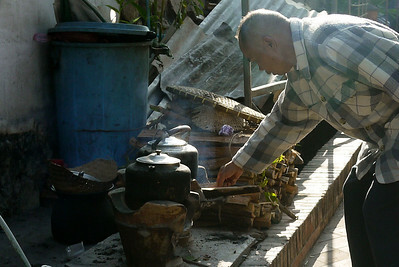 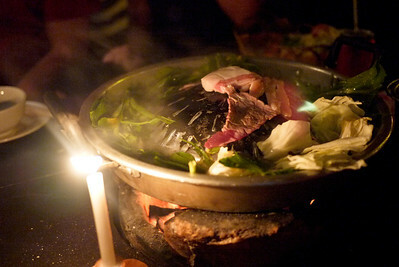 An elderly man stokes and tends the breakfast fires in Luang Prabang, Laos. 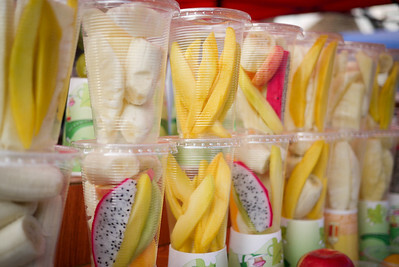 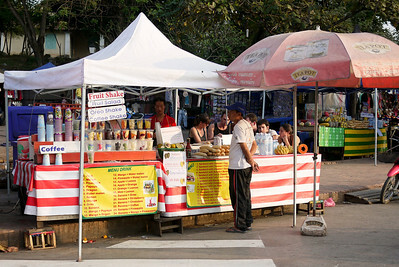 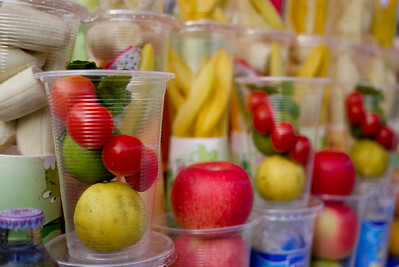 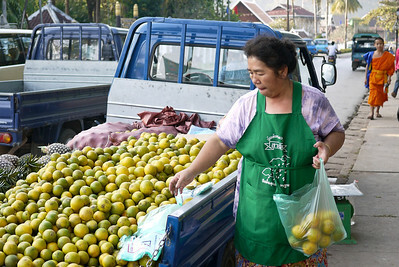 Tourist fruit shake stands in in Luang Prabang, Laos are surprisingly fresh and delicious! 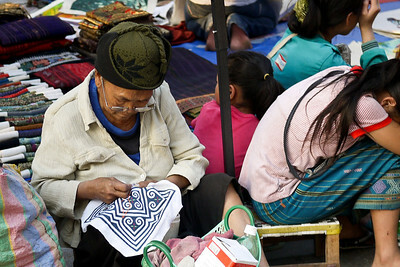 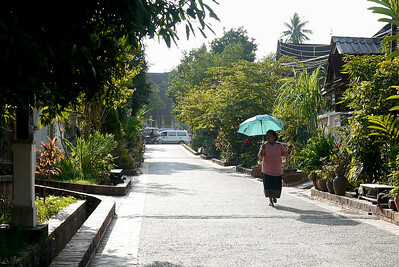 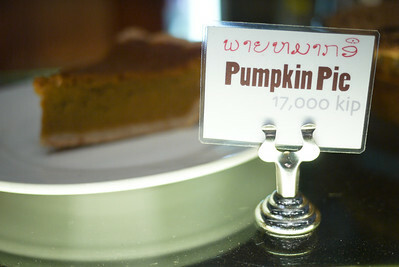 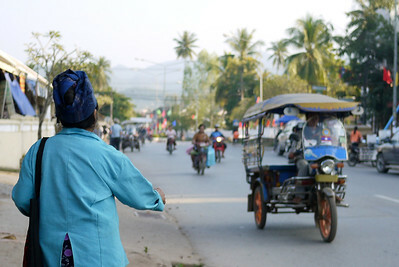 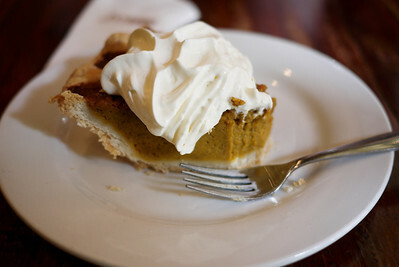 Spending Thanksgiving in Luang Prabang, Laos thankfully didn't mean missing out on pumpkin pie! 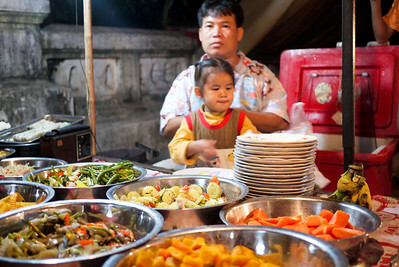 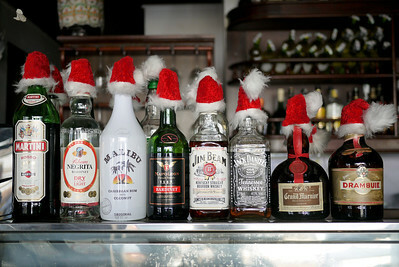 A restaurant in Luang Prabang, Laos sets up for the holiday season.